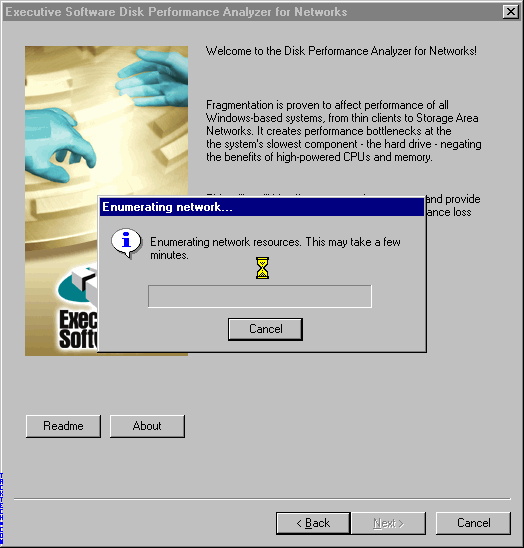 Disk Performance Analyzer for Networks (Using) (Executive Software) - TACKtech Corp. 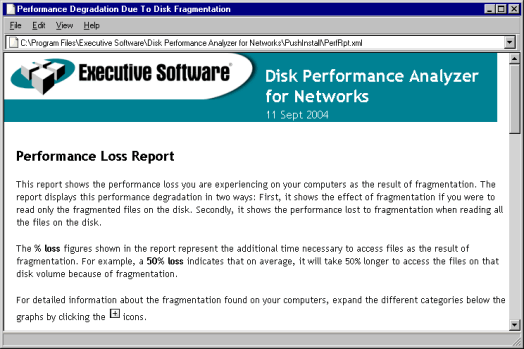 Using Executive Software: Disk Performance Analyzer for Networks is simple and straight forward. 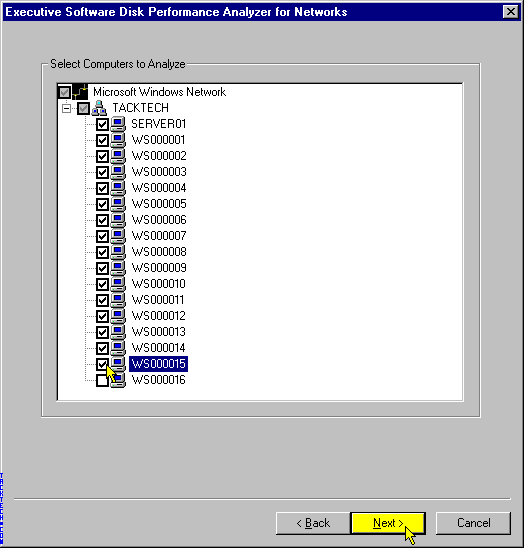 Click the Start > Programs > Disk Performance Analyzer for Networks. 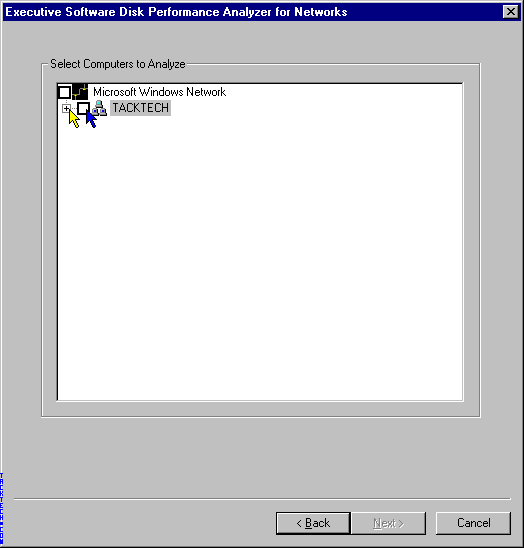 Double Click the Disk Performance Analyzer for Networks icon on the Desktop. Wait while the network resources are enumerated. Note: Wait time will vary. Click on the + to expand the tree. Optionally you can check the checkbox to select all network devices. Check the check boxes next to the network devices you wish to Analyze. Type in the User name. Note: Blank passwords are not permitted. This is a delegated/local administrator account. check box. 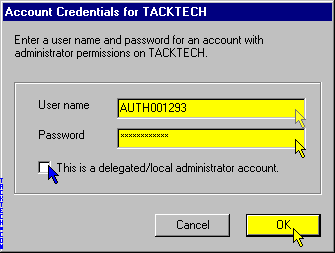 in the ‘Account Credentials' dialog box. Wait for the Disk Performance Analyzer to complete. 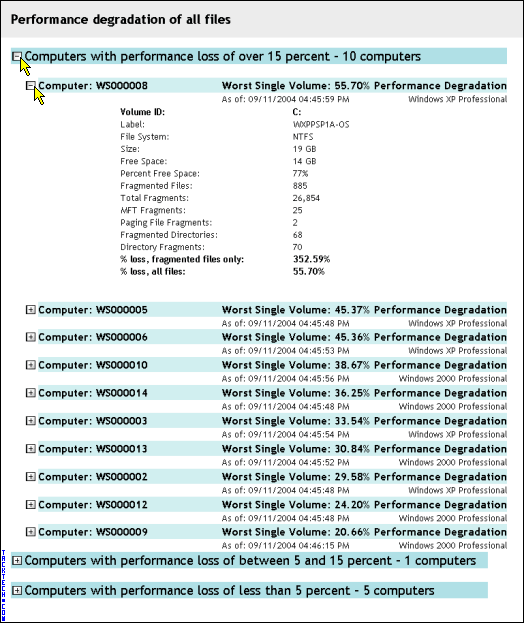 The Performance Loss Report will automatically launched in the default Internet Browser. 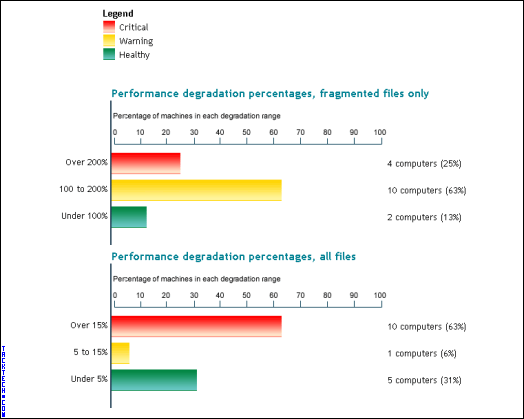 Examine the Performance Loss Report. Use the +'s to expand the trees to view additional details. 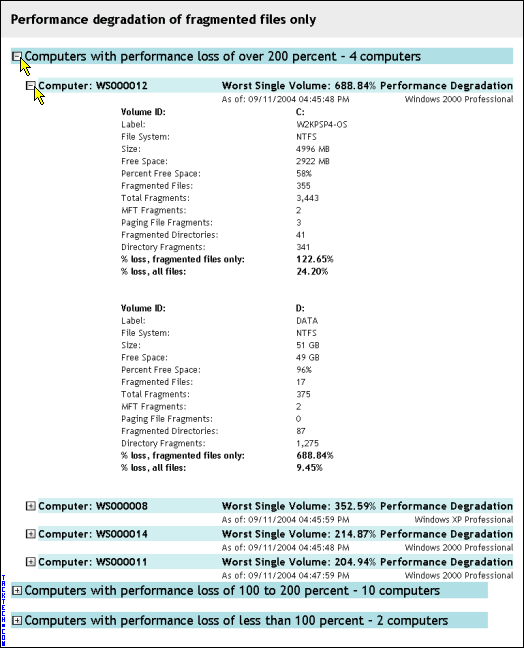 Run Executive Software Diskeeper or Windows Disk Defragmenter to optimize the systems requiring attention. Click the Save Report button, if you want to save the report for later viewing.